The sound bars, sound towers, 2.1 speakers, and BT speakers from Blaupunkt have already become the best-selling Home Audio Products in Indian market. The global technology innovation leader, Blaupunkt brings forth an exclusive range of quality personal audio for the Indian market. 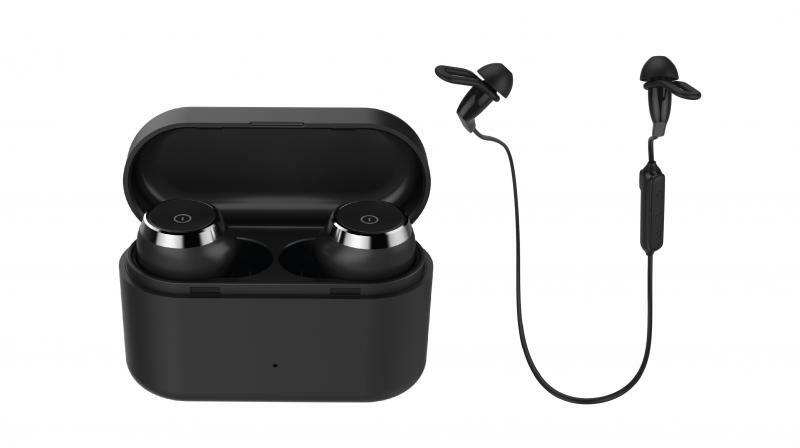 The leading audio products brand, Blaupunkt, announces its entrance in the Indian market with truly wireless earpods BTW01, wireless earphones Floatz BE-01, and wired earphones EM01. The company aims to add more incredible products in the personal audio segment in the coming months. The magnificent range of earphones introduced by Blaupunkt with unique features is targeted for Indian youth, starts at a price range of INR 499/-. These state-of-the art products includes high quality wired earphones and one of the world’s lightest wireless earphones Floatz BE01 will be available on leading online platforms and offline stores across the country. Blaupunkt has combined durability and advance sound tech to the newly launched range of earphones and headphones. The addition of Personal Audio products is expected to reiterate the success of German Audio Innovation Leader. The sound bars, sound towers, 2.1 speakers, and BT speakers from Blaupunkt have already become the best-selling Home Audio Products in Indian market. The True Wireless Earpods and range of wired/wireless earphones by Blaupunkt deliver the best-in-class sound experience with multiple intuitive features. These wired/wireless earphones have super bass which Indian consumers love and balanced treble for optimum volume, to deliver rich audio experience to Indian music lovers.